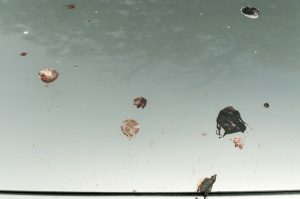 insect or bird poo on my car? I keep getting some kind of bird droppings or insect poo on my car. Sometimes its on the windshield and some mornings its on the roof. I’ve been washing it off but is there something I can spray so it won’t stick? I’m afraid its going to ruin my car’s finish. Do you have a tree overhead? If so, it could be from an insect feeding. 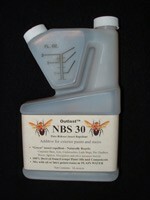 Try spraying any overhead vegetation with NBS. Mix 3 oz per gallon of water and saturate the foliage above. If this helps, its no doubt an insect of some kind like a spider, aphid, whitefly or caterpillar. 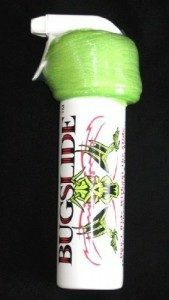 It would also be smart to spray your car with BUGSLIDE. This product will prevent droppings of any kind from adhering to a car. The 16 oz pint is enough to cover 400 sq/ft so it should be plenty to treat your car 2-4 times.